If anyone knows anything about this organization, we would appreciate a note! 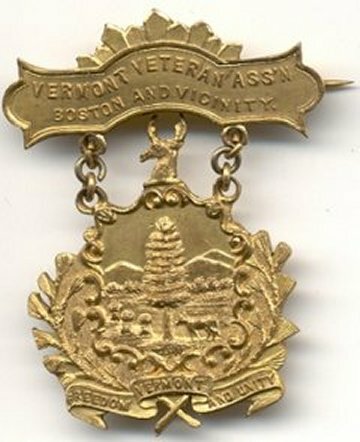 George N. Carpenter, 8th Vermont, was president and vice-president of the Vermont Veteran Association of Boston. Albert Clarke, 13th Vermont, was president of the Vermont Veterans Association of Boston. Henry W. Downs, 8th Vermont, was president of the Vermont Veterans Association, and in 1894, its treasurer. E. J. Foster-Eddy, 10th Vermont, was president of the Vermont Veterans Assocation of Boston in 1894.